In 1961 I was a member of Oxford University Air Squadron, flying Chipmunks from Bicester. I had some good friends in 47 Squadron at nearby Abingdon, and I used to fly with them on some interesting trips. 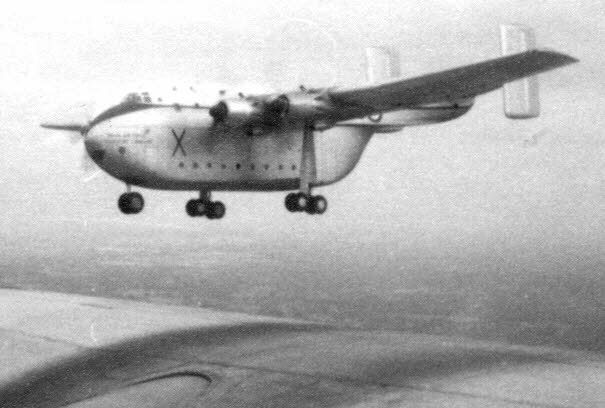 For example, I came back from Valley to Abingdon in XB283 on 30 June 1961 after the OUAS summer camp. It was a perfect solution for getting our instructors’ cars back to Oxford! I also flew from Abingdon to Orland in Norway in XB284 with Flt Lt Lambert on 6 September 1961. That was an eventful flight, as we had to turn back to Abingdon with engine trouble, before setting off again on the two hour flight to Leuchars. We then flew on to Orland the following day (4 hours 20), and back to Abingdon, after some raw fish for lunch, the same day (4 hours 40). The next day, 8 September 1961, I took part in a flight to the SBAC Exhibition at Farnborough. We set off in several Beverleys (I cannot remember how many, maybe 3 or 4) and landed at Odiham. I was in XB285 with Flt Lt Lamb. 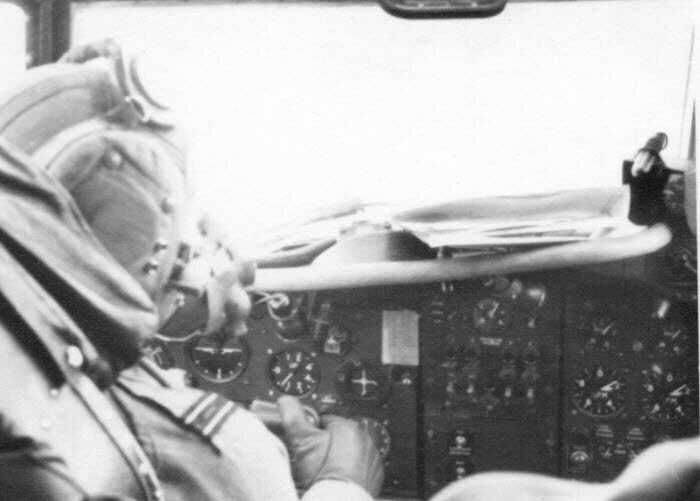 There I changed to XB263, captained by Flt Lt Smith. 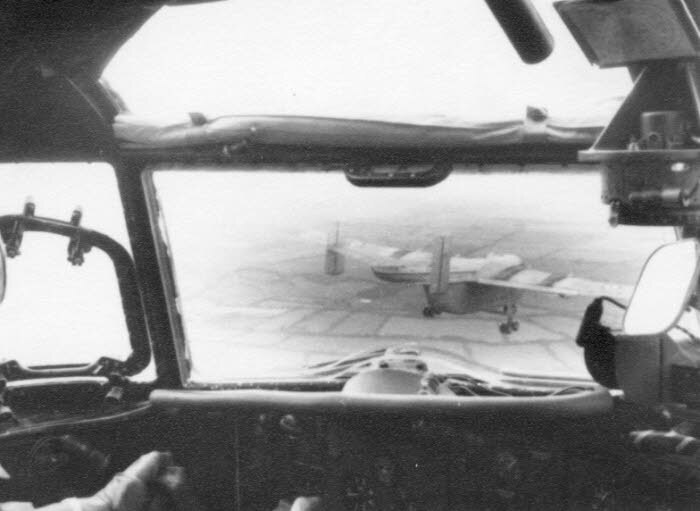 We flew the short distance to Farnborough, where we landed in the middle of a mock battle with bomb bursts and smoke all around us, then took off again back to Abingdon, where we landed after a fly past and break (see the picture of XB285 over the airfield). The only “contact” with Beverleys now is that I live in the UAE, and try to visit some of the desert strips that might have been used by them in the past. 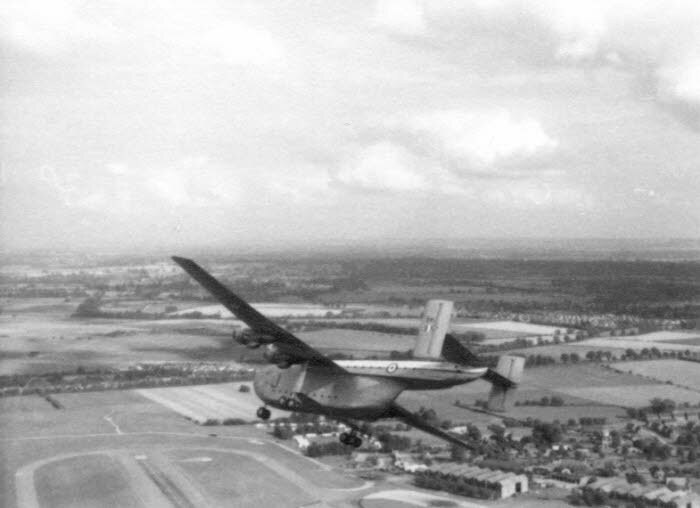 The photos above were taken from XB263 during our participation at the Farnborough show on 8 September 1961, including a break over Abingdon on the return flight. 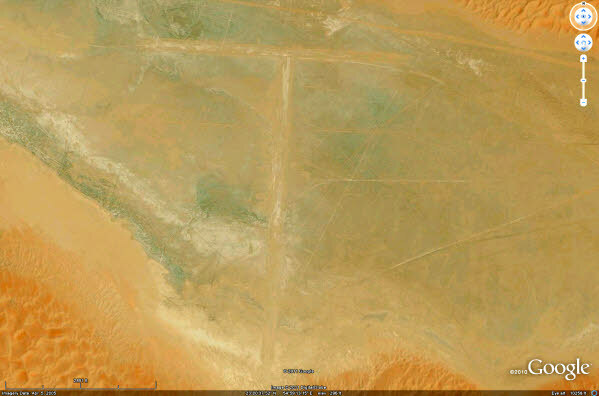 I have “discovered” an abandoned airfield in the desert of the UAE. It is almost exactly at 23N 55E, and not far from the oilfields of the region. I wondered if it may be known to people of the Beverley era who may have used it. I know of no name given locally. All that is left now are the sand runways (visible on satellite images) and a lot of old tyres, some of which seem to be aviation types.